Russian President Vladimir Putin has promised that everything will be done to punish those responsible for the organization and execution of the murder of opposition politician, Boris Nemtsov. “Everything will be done for the organizers and executors of this vile and cynical murder to receive the punishment they deserve," the statement on the Russian President’s official website said. Boris Nemtsov, a veteran opposition figure in Russia, was gunned down in a drive-by attack in central Moscow overnight Friday. The murder, which happened just away from the Kremlin, triggered worldwide condemnation and calls to bring the killers to justice. Previously, Putin expressed his condolences to Nemtsov’s mother and said that he shared her grief. "Please, accept my deepest condolences on this irreparable loss. I sincerely share your grief,” a telegram by the President, posted on the Kremlin’s website, said. Boris Nemtsov "left his mark in the history of Russia – in its political and public life. He occupied on important positions in the difficult transition period of our country. 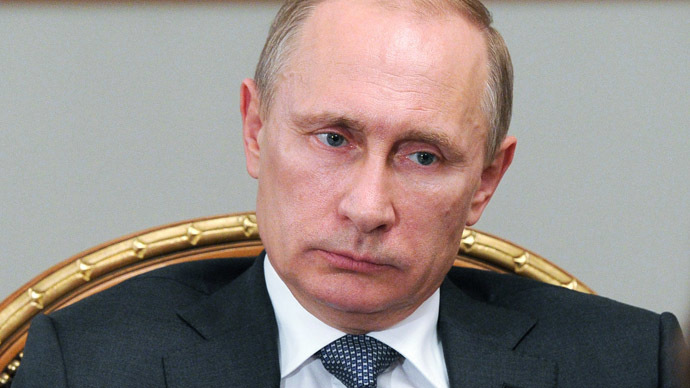 He stated his point of views in an honest and straight forward manner and always defended his stance,” Putin stressed. Investigators are doing their best to solve the murder of the opposition politician, said Vladimir Markin, spokesman for the Investigative Committee. Previously, he said that the investigators are looking into five possible motives behind Nemtsov’s assassination. According to Markin, the politician’s murder could have been a provocation to destabilize the political situation in Russia. It could have also been linked to the threats Nemtsov received over his stance on Charlie Hebdo shootings in Paris or the current war in Ukraine. The politician’s business activities and a possible assault related to his personal life are also being looked into. Moscow city authorities meanwhile have given permission to Russian opposition leaders to hold a march to commemorate Nemtsov after they canceled a planned protest rally due to the murder. The Sunday rally will cross the Bolshoy Moskvoretsky Bridge where the politician was shot dead. Nemtsov, 55, gained popularity as a governor to Nizhny Novgorod region, staying in the office from 1991 to 1997. He served as energy minister and deputy prime minister under former President Boris Yeltsin. After 1998 he participated in the creation of several liberal movements and parties, serving as a Member of Parliament. Since 2012, he had co-chaired the liberal party RPR-PARNAS (Republican Party of Russia – People's Freedom Party), being more involved in business than politics.